Inspiration from educators, musicians, and artists has led us to our lives in music. Spreading joy and reaching students of all ages is our passion. From teachers in primary, secondary, and university settings, to non-profit organizations with outreach initiatives, wherever we travel we get involved with the local community. We hope to work with you in our shared mission of uplift and inspiration. We approach teaching from a cultural and historical perspective as well as a technical perspective. We are flexible and want to meet you where your needs are. 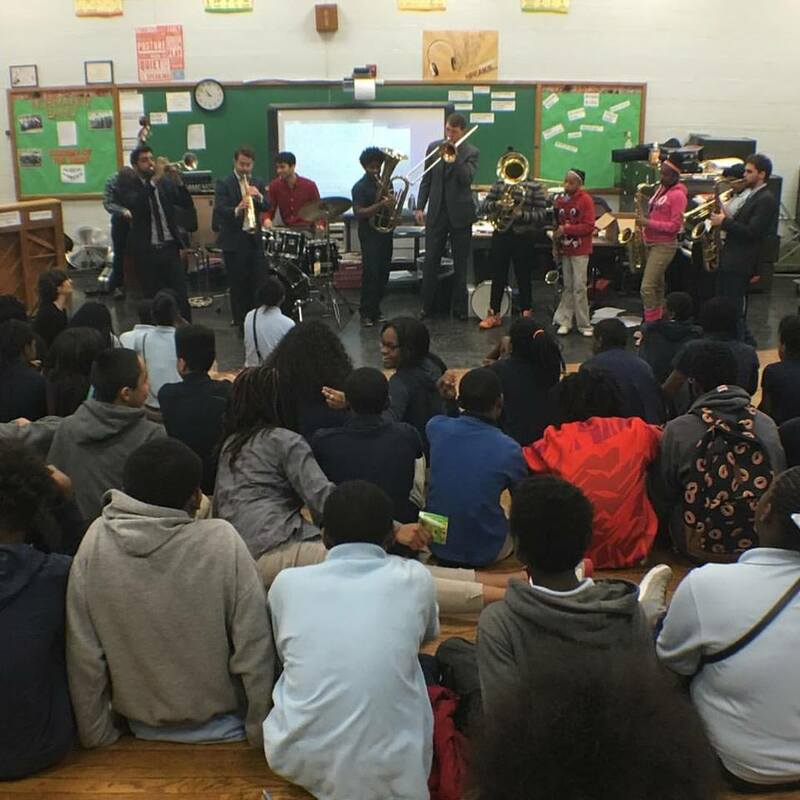 Through our work with Jazz at Lincoln Center we have performed over 100 education concerts in New York City, Los Angeles, St. Louis, Ferguson, and Ohio public schools. We believe it is important to remove the wall between the audience and the musician. Our concerts are always interactive which allows students to have a personal and profound experience with this music. Some concert themes are as follows: The King and The Queen: Louis Armstrong and Bessie Smith; New Orleans: Jazz is Born; The Sound of America; and The Most Beautiful Dreamer: The Life and Music of Stephen Foster. We will gladly provide you with more detailed concert descriptions upon request. Working with students studying music, or interested in studying music, is always exhilarating. All of us are musicians because of positive educational experiences we had during our youth. Whether you are teaching a certain musical concept, a specific composition, or you simply want to expose your students to this art form, we will support the important work you are already doing. Tell us about your needs and let's make something happen! Thank you for your inquiry and your dedication to education!